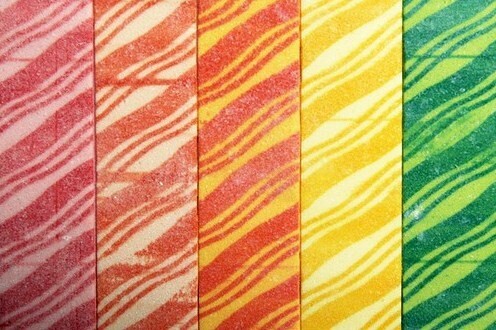 I used to love that GUM. A little rainbow of fruity flavor. before popping them in my mouth. 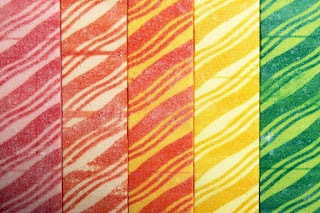 Even the wrappers were colorful and fun. Been a carefree little trip down memory lane. And I'm really happy to be finished with the binding. and clipping some loose ends! Oh, totally funny - I SO remember Fruit Stripe gum! Dang, I'm old! No wonderful your quilt looks so deliciously gorgeous. We could never remember the name of that gum, but when the kids were little we found it in a gas station while traveling, so it became known as the traveling gas station gum, because it was the only place we would ever find it. How funny - I thought of that gum the other day for another blog but couldn't think of the name of it. That was my favorite gum. Your quilt is beautiful!!! Can't wait to see more of this quilt -- beautiful and yes!! 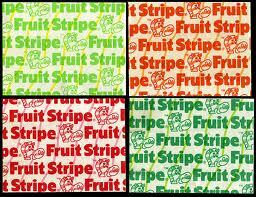 I totally remember Fruit Stripe gum. Good times! 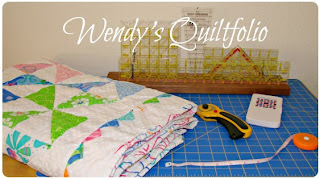 Fun quilt and so so perky.... and a great creation from fond memories of Fruit Stripe Gum! I remember that gum. I loved it. I remember eatting only a little at a time because I wanted the flavor to last a long time. Your quilt is so beautiful. 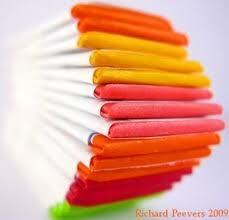 It does remind me of that gum!! perfecto!!!! and yes I remember...I am shop hopping in the Raleigh area with guild friends and think I will just have to look for some STRIPES!!! I can see the resemblance and I remember the gum! 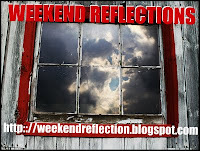 Well done, great photos!